All homes currently listed for sale in the zip code 95122 as of 04/21/2019 are shown below. You can change the search criteria at any time by pressing the 'Change Search' button below. "Open House on Fri. 10 AM - 1 PM and Sat. & Sun. 1 - 4:30 PM. Charming split level home with 4 beds and 3 baths with total 2,399 sqft living space. This is a very good home for a big family. House have very spacious open kitchen with a separate dinning area. Spacious master suite, spacious living room and separate family room. The house does need some TLC. Closed to freeway, school, shopping center. County record permit show 4 beds 2 baths, the other bath permit unknown. Buyer to verify an additional bathroom. This is a trust sale. Property to sale in AS IS condition. A must see!" "Another fine home in East San Jose, this immaculate home has been well maintained by the owner, this home boasts 5 bedrooms 3 baths including the garage conversion w/o permit, double pane windows throughout including shade, remodeled kitchen with granite countertops,marble floors in the dining and kitchen area, 4 skylights for energy saving,laminated floor in the living area and all bedrooms, addition of 195 sq ft Sunroom , recessed lights in living area,dining area, and the kitchen, new solar (leased) to be assumed by the new owners,new toilet in the master bedroom, parking for many cars at least (10) cars, 2 wall airconditions in the master bedroom and other room, huge lot approximately 9400 sq ft lot, including TV with built surround sounds system its great to own this home.."
"Great Home in a Convenient Location. Approx: 1.548 St. Ft. of living area, has 4 bedrooms 2 bathrooms up stairs & 1/2 bath downstairs, New Laminated Flooring & Tile Floors. New interior & exterior. paints with base boards. Dual pane windows. Large kitchen with New Range & a New Gold Series Refrigerator. Newer home built in 1997 with No HOA. Central heating & AC System, Close to shopping & convenient to 101 & 680. Move - in Ready for your growing family." "Fantastic property 3bd/ 2ba, plus a perfect opportunity to make a rental income!!! The property has an addition with permits 2bd/1ba plus garage converted in studio 1bd/1ba in a great location. This property is a short distance to restaurants and shopping centers. Please, do not disturb occupants!!!" "Don't miss your chance to own this spacious 1350 sq ft single story home with 4 beds, 2 baths, and 2 car attached garage. Located in the highly desirable and well established neighborhood of the Meadows area. Four minute from Turtle Rock Park, with quick freeway access to HWY 101 and HWY 280. Great for entertaining or relaxing in privacy with fruit trees, concrete paved backyard, solar panels, covered patio on the side, plus a shed in the backyard for additional storage space. Enjoy a bright and updated kitchen with stainless steel appliances, updated cabinets, breakfast bar, granite counters, and beautiful backsplash. Hardwood and tile flooring throughout property." "Beautifully remodeled 5 bedroom, 3 bath home, 1,301 square feet on a 3,312 square foot lot. Separate family room, laundry room downstairs, 2 bedrooms downstairs, engineered wood floors throughout, hardwood at stairs to 2nd floor, granite counter tops at eat-in-kitchen, cherry wood cabinets, living room/dining room combo with sound system, central forced air with air conditioning, water softener, newer plantation shutters throughout, large walk-in closet at master bedroom, plenty of fruit trees at rear yard and easy maintenance front and rear yards. This home is in total move-in condition and a must see. Hurry!...it will not last long." "A families dream home! This bright sunny single story home has a professionally built converted garage with private entrance, remodeled half bath, hardwood floors and sink. The use for this additional space is endless. Enjoy the 3 bedrooms with full-size rooms for family and guests. A spacious relaxing living room welcomes you home with upgrades throughout the home. The upgrades include a new kitchen with a clean crisp granite countertop, modern new sink, soft cherry glazed cabinets, hefty new gas stainless stove with matching hood, new appliances. Beautiful Plantation Shutters top off the kitchen, living room and dining area. Entertain and lounge in the open space of your private backyard. This backyard comes with a large workshop fully wired. There is extra enclosed storage on the side of the home and in the front of the home next to the garage, Come and enjoy!" "This 4 bedroom, tastefully updated house in The City of San Jose is ready for you to call it home! Crown moldings, recessed lighting, updated kitchen with granite countertops, and beautiful cabinets. Updated bathrooms, French Doors in Family Room, L shaped backyard with fruit trees. Copper Plumbing and updated electrical wiring. Well-kept by the warmth, care and charm of original owners." "Don't miss this amazing opportunity to own this spacious 4 bedroom home. Boasting both a living room and family room. Large master bedroom. Remodeled hall bathroom. 4th bedroom was turned into a dining room, but could easily be turned back into a 4th bedroom. 2 car attached garage. Home has zero lot line on one side and room for a garden or patio on the other. Definitely shows pride of ownership. Home is in great shape and close to schools, shopping and freeways. No HOA. Don't miss this one!" "Perfect Spacious 4x3 home with office! Best value in the neighborhood. Located in a well established desired neighborhood, this home has solar, new hardwood floors in all the bedrooms, new crown moulding, new backyard patio, and all new double pane windows. Great open floor plan, perfect location! Spacious backyard with covered patio, fruit trees and a large shed for extra storage. Garage was converted without permits into an additional bedroom with full bathroom that has its own separate access, great in law suite or potential rental. Close to grocery stores, restaurants, schools, Eastridge Mall, and easy access to freeways 101 and 280. 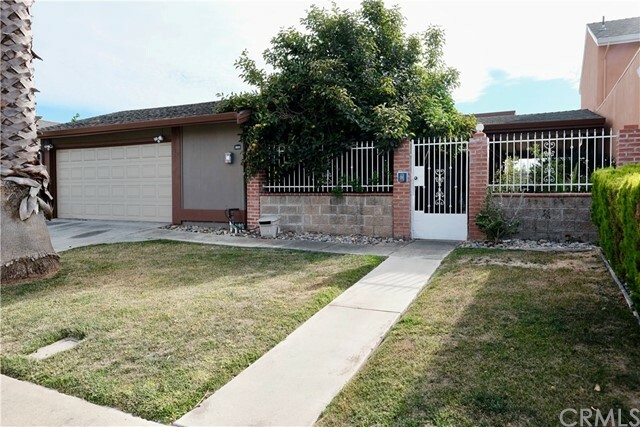 Terrific first time home buyer or investment opportunity in one of the most affordable neighborhoods of San Jose, the capital of Silicon Valley." "Great home for 1st Time-buyer. Move in Ready Home. Property was tastefully remodeled in 2013 with many upgrades including tile & hardwood flooring throughout the house, beautiful modern kitchen with quartz counter top, cherry cabinets and stainless steel appliances; hotel-like bathrooms with jet tub and stainless steel rain-forest shower head, crown-molding throughout and central A/C & heating unit. NEW ROOF, covered patio,nicely built spacious storage and additional room (permits unknown) in the back. Iron front gate for privacy. Close to shopping center, easy access to 680 & 101." "Welcome home to this updated 2/1 upstairs corner unit with no neighbors on three sides. You will love your 1 car garage and over-sized front porch. You can't beat the location with walking distance to schools and super close to Hwy101 and Little Saigon. Perfect for the starter family or investor." "Beatiful family mobile home moving in good conditions & convient location 2 minutes driving to Vietnam town,the property recently remodle & upgrade interior & exterior, painting interior & exterior ,LED recessed lights. sherry cabinets,ceramics counter top kitchen,ceramics counter bathrooms.marble kitchen floor,marble bathroom floor, SS kitchen fan , SS stove, laminate wood floor. Central Air condition & heater. added on 1 bedroom & 1 full bathroom & kitchen unknow permit, 4 carport parking . and has a lot much more ."